Barbara Tversky is Professor of Psychology and Education at Teachers College, Columbia University and Professor Emeritus at Stanford University. She received her B.A., M.A., and PhD degrees all from the University of Michigan, the latest in 1969. 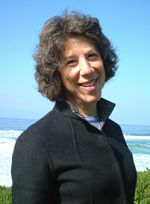 After positions at Hebrew University, the University of Oregon, and the University of Michigan, she settled at Stanford University, where she taught and researched from 1977 through 2006, when she moved to Teacher College at Columbia University. Tversky has received awards and fellowships from the American Psychological Society, the Cognitive Science Society, the Russell Sage Foundation, the Society for Experimental Psychology, and Phi Beta Kappa. * The FABBS Foundation would like to thank Dr. Elke U. Weber and Dr. Jeffrey Zacks for nominating Dr. Tversky for this honor and for leading the effort to spread the word about her nomination. Would you like to honor Dr. Tversky? It’s not too late to have your name added to the list of donors! You can make your donation to Dr. Tversky’s In Honor Of… campaign at anytime.